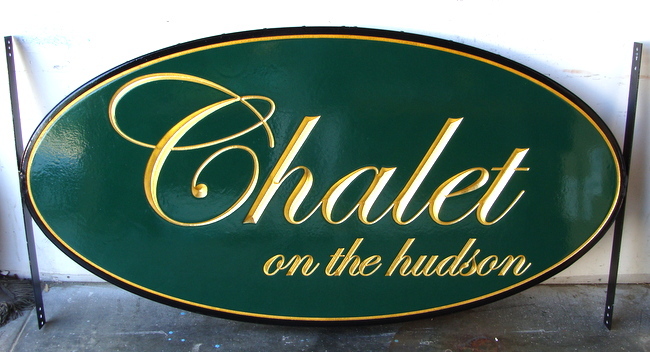 This very elegant, beautiful property name sign features incised (engraved) V-carved script text and borders. The text and inner border are 24K gold-leaf gilded. This sign can be made from either HDU or cedar. The sign can be mounted on a wall or fence, on a post or between two wood or iron posts, or hung from a wood or iron hanger. Shown above is an iron outer ring to hold the sign welded to two iron sign posts.